Below is the manufacturers image of the item. OEM No: GATES: 5649XS, GATES: T42044, GATES: T42305, GATES: T42309, GATES: T43219, AUDI: 03L198119C, AUDI: 03L198119F, VW: 03L198119C, VW: 03L198119D, VW: 03L198119F, BOSCH: 1 987 948 959, CONTITECH: CT1139K2, CONTITECH: CT1139WP2, DAYCO: KTB788, FEBI BILSTEIN: 37021, HUTCHINSON: KH 462, INA: 530 0550 09, INA: 530 0550 10, IPD: 20-1749, QUINTON HAZELL: QBK870, RUVILLE: 5634970, SKF: VKMA 01148, SWAG: 30 93 7021. Any specific vehicles mentioned anywhere in this listing are for reference only. The only way to confirm fitment is to check the part number of your old unit - If you find that the part isn't right for you for any reason send us a message and we will be happy to arrange a return. We cut out all unnecessary costs and pass the saving on to our customers. We dont have different prices for trade and retail customers everyone gets the best possible price. If for any reason you no longer require the part send us a message and we will arrange for a return. The item "FOR VW AMAROK 2.0 DIESEL (2010-) GATES TIMING CAM BELT KIT TENSIONER POWERGRIP" is in sale since Tuesday, August 30, 2016. 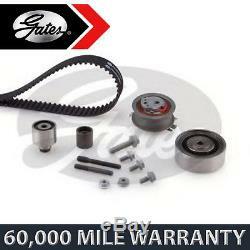 This item is in the category "Vehicle Parts & Accessories\Car Parts\Engines & Engine Parts\Belts".